In 2016 alone, an estimated 10,000 injuries were treated in emergency rooms which were related to strollers, according to CPSC Nursery Product Reports. Most stroller injuries were caused by either falls or strangulation. On average, two children died per year from stroller-related injuries according to data from 2012- 2014. Many of these deaths occur when babies are left to sleep with the stroller’s back rest in the reclined position. They may slip feet-first through a leg opening until their head is trapped and they are strangled — at least 5 deaths are associated with this hazard. Be aware that infants only a few weeks old can creep or move when asleep. The youngest victim of a stroller was an infant just 7 weeks old. From 2007 to 2013, there have been 33 stroller recalls totaling nearly 6 million units and involving 5 deaths. 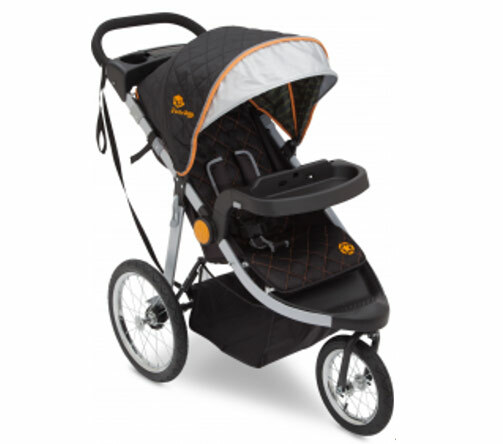 Since 2013, there have been 17 more strollers recalled.